It's bad enough when your beloved motorcycle gets damaged in an accident. Making It Better Than New!!! It's bad enough when your beloved motorcycle gets damaged in an accident. Being out-maneuvered by the insurance company, or waiting weeks for the check so you can fix it just adds insult to injury. We put a priority on bikes that have been in accidents. The estimate is usually finshed and transmitted to the insurance company within a few days of the bike's arrival at our shop. We write accurate estimates that include OEM part numbers and current prices. In the case of custom parts we'll make every effort to track down the correct manufacturer and part numbers so the owner will be fully reimbursed for those parts. We work closely with the insurance adjusters to make sure that nothing is overlooked. Many of our customers have received payment for their repairs less than a week after they've been in an accident, and the bikes have been back on the road before the owner is. 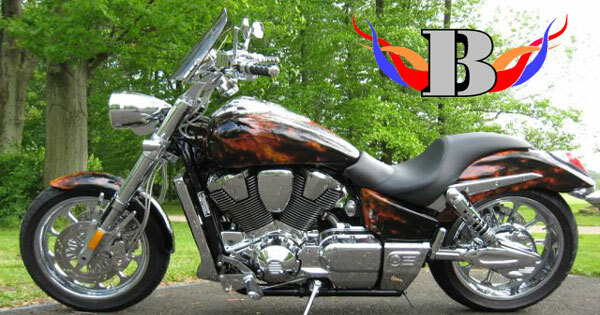 Some people use an accident as an opportunity to customize their bike, and transform it into the motorcycle that they really wanted all along. A situation like that can turn a traumatic event (the accident) into a phoenix-like transformation that will bring joy to the owner for years to come. There's nothing more gratifying than taking a dull, beat-up motorcycle and turning it into a gleaming jewel of a bike that will turn heads wherever it goes.